Here’s a little secret about the mystique of Alaska: Locals feel it too. My wife, Kate, and I have a hippie-ish ritual that we call “Doin’ the 360.” We’ll be walking on a beach, the wild Chilkat Mountains rising in the distance across Chatham Strait, a 4,000-foot-deep saltwater channel, maybe even with the mist of a humpback whale spout whooshing into the air and then fading away. One of us says: “360.” We grab each other in a big hug and turn together in a full 360-degree circle to soak up the beauty of our home, the view behind us as spectacular as the view across the water. We’ve lived in Alaska for 42 years, and we still can’t resist doing the 360 all the time, everywhere around the Juneau area. The magic of Juneau, Alaska, is intrinsically tied to its spectacular landscape, and some of the most rewarding outdoor adventures you’ll ever have in your lifetime are right at your fingertips. You can kick back and relax on trips like whale watching and flightseeing, or hire a guide to take you dogsledding or glacier trekking or bear spotting. Or you can create your own adventure. Go explore, be free. Hike the mountains and rivers, kayak into the sounds, and admire the tranquility and vastness of it all. 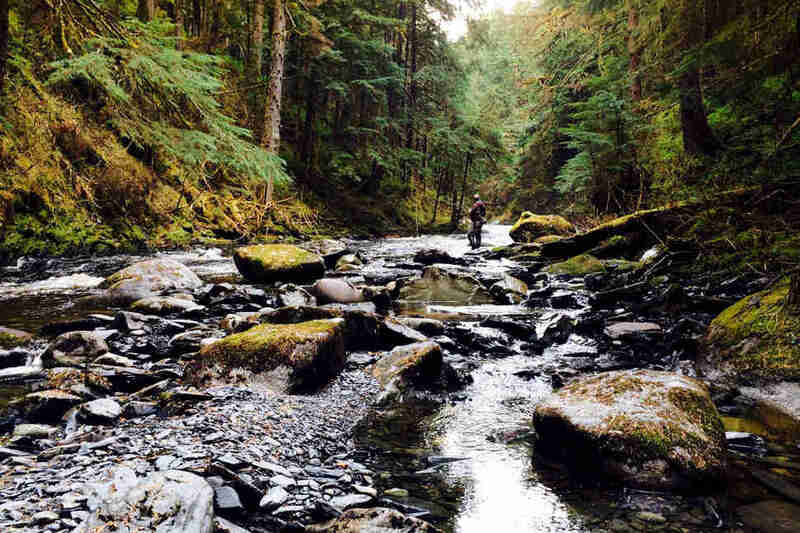 Stand on the shores and cast out your line until you hook that trout or salmon. The enchantment of Juneau is boundless. 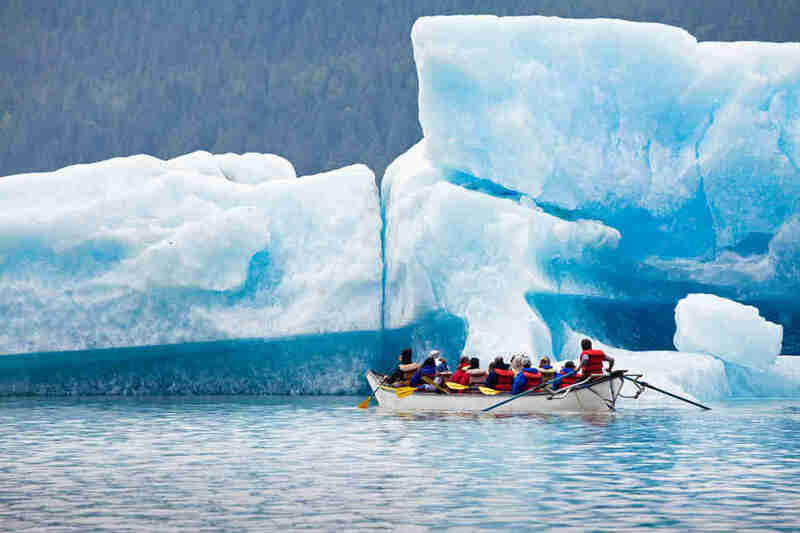 The best part about Juneau’s coolest guided excursions is that typically, they don’t require any previous experience. Even if you’re new to the whole outdoors thing, the guides will work with you to customize your experience. However, be prepared for Juneau’s unpredictable, wet weather. When in doubt about what you’re expected to bring, check the provider’s website or give them a call. Using this guide: We’ve organized this guide by half-day, full-day, and overnight adventures, and included estimates for how many hours each trip will take you, including travel time to and from downtown Juneau. Almost all these tour groups will provide transportation, which is nice of them. Tipping your guides is always appreciated: $5-10 for half-day excursions with larger groups, and at least $20 a guide for full-day excursions and/or small groups with a lot of one-on-one time. From hiking through an arctic rainforest to scaling a massive blue glacier, here are all the best things to do during your visit to Juneau, Alaska. If your idea of adventure involves kicking back in a cushy seat, book a float plane or helicopter excursion to explore Juneau from the sky. You’ll especially want to see the enormous, awe-inspiring Juneau Icefield, which stretches for 65 miles reaching depths of 5,000 feet. Many helicopter companies offer opportunities to land on the ice for short walks as well. This is one of the best and most popular tours in Juneau. Climb into a seaplane at the dock in downtown Juneau for a flightseeing trip over the glaciers, then land on the Taku River, eat a salmon feast, and fly home. Northstar maximizes the amount of time you spend on the glacier, with 20 minutes of flightseeing followed by a non-strenuous, one-hour walk. Guides discuss the glacier environment and surrounding area, and teach proper use of the mountaineering equipment provided. Alternative: Northstar offers two-hour [$429] and three-hour [$529] glacier visits. 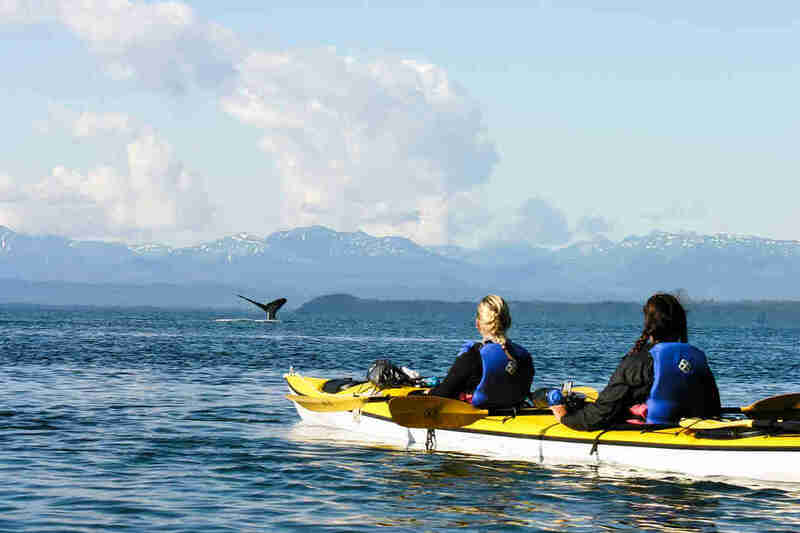 Sea kayaking offers an intimate experience with Southeast Alaska’s fjords and marine life. Become another marine organism, face to face with seals or sea lions that surface. Look down into kelp fronds or visit rocky shores covered with mussels, barnacles, and other critters. Peace, beauty, adrenaline -- all are possible with sea kayaking. This is an easy kayak trip where the Mendenhall River flows into saltwater. It’s a truly beautiful place with seals and other wildlife, plus a view of Mendenhall Glacier in distance. Easy kayaking in Mendenhall Lake over to the face of the glacier. How to do it by yourself: Unless you are a very experienced and competent sea kayaker, we recommend using a guide or remaining in sheltered waters. Even if you have kayaked elsewhere, respect the challenges of Southeast Alaska waters (strong currents and big tides, with winds that can spring up quickly). Do your research and leave a float plan with a friend. Located at Auke Bay Harbor, 12 miles from downtown Juneau. Paddles, life jackets, and basic safety equipment (pump, air bags, etc.) are included, along with a 20-to-30-minute briefing. 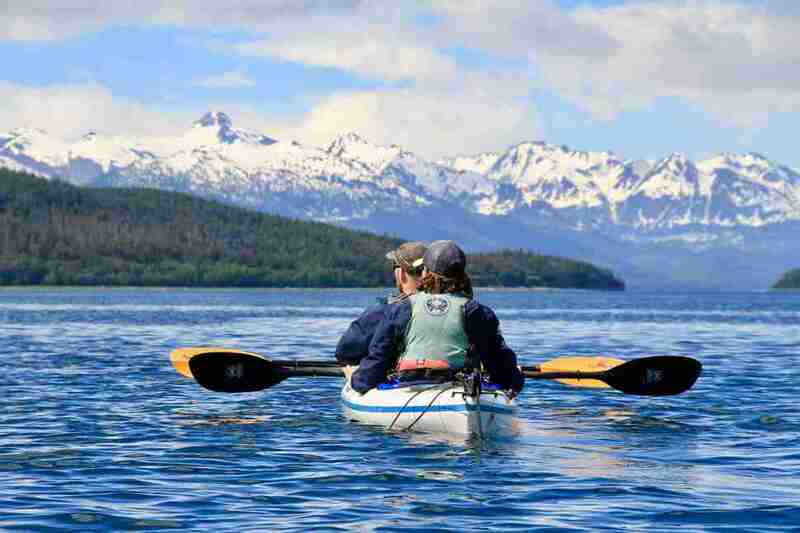 They recommend kayaking in beautiful Auke Bay using double kayaks for two people. For more experienced kayakers, they have pre-positioned rental kayaks at Amalga Harbor. You can load the kayak on your car or they’ll drop them off for a fee. Juneau offers options for bike riders of all levels and ages. Most roads have wide roadside bike lanes or adjacent paved bike trails. Here’s a free online bike map. 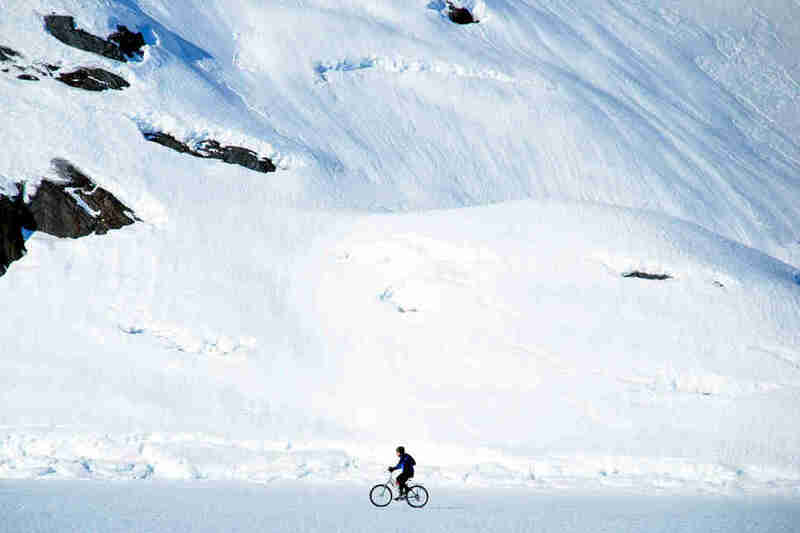 CycleAlaska is a great resource for detailed cycling information. This is a flat, 8 1/2-mile guided ride on roads, bike paths, and trails through the Tongass National Forest to the Mendenhall Glacier. The coastal temperate rainforest is lush, green, and possibly a bit wet, so bring the right gear. The tour returns to downtown for a local craft beer tasting at the Flight Deck. This 9.2-mile ride starts at Eaglecrest Ski Area lodge at 1,200-foot elevation with about a 5-mile hill down to sea level, then follows paved road along forest and ocean to Outer Point. You’ll see a cool view of Mendenhall Glacier from across the saltwater. If you’re able to transport your bike by car, you can access many additional trails and roads with excellent riding and beautiful scenery. However, Cycle Alaska doesn’t provide bike racks. Juneau city buses have room for two bikes. Know that it is both illegal and a very bad idea to ride on Egan Highway from downtown to Mendenhall River Bridge. Always use bike paths! 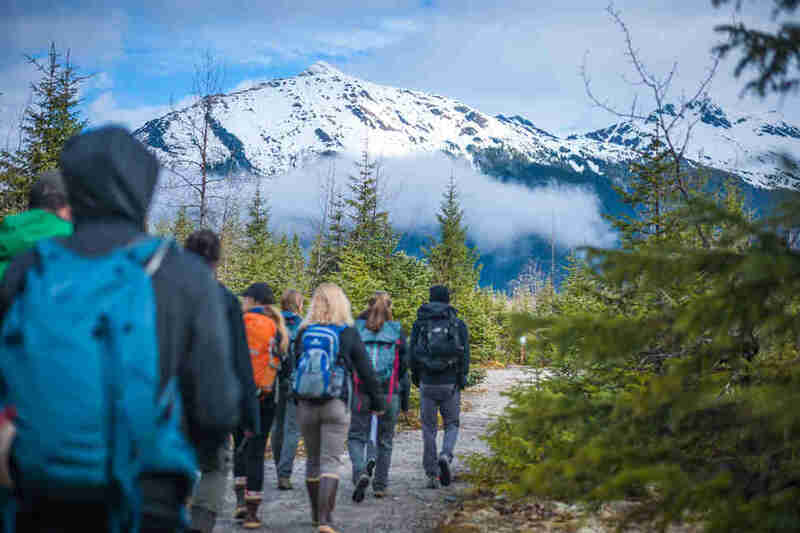 Juneau has more miles of hiking trails than miles of road, ranging from flat, easy walks to 12-hour hikes for experts only. The best resource for trail locations is the USDA Forest Service’s Juneau Area Trail Guide, a topographic map (1 inch = 1 mile scale) with every trail in Juneau, available for purchase at Hearthside Books downtown and the Mendenhall Glacier Visitor Center. Foggy Mountain Shop, a long-time outdoors shop downtown, is also a great source of information for hikers. An excellent, scenic rainforest hike for families and hikers of all ages and abilities. You’ll take a small boat to the trail, which is a bonus opportunity to see humpback whales, orcas, seals, and all kinds of wildlife. The guides are very knowledgeable and skilled storytellers. For more whale-watching tour options, check out our full guide. Whales are cool and all, but this is also your opportunity to spend time with some Very Good Dogs. A great option for a helimush tour -- which, yes, involves a helicopter ride to the top of a glacier, where you will mush -- is with Alaska Heli-Mush. Not only does this family-owned company teach you to mush the dogs yourself, you’ll also spend time in the camp playing with sled dogs (they have about 200) and learning about the sport from seasoned mushers. Suitable for just about all ages and abilities -- if you can climb in and out of a helicopter and walk through a bit of snow, you’ll do fine. Plz hug many puppies for us. Hop a seaplane to a stream in Juneau’s surrounding wilderness for a day of fishing for trout or salmon. No fly-fishing experience required. Bear Creek Outfitters provides training as needed, plus all equipment and flies. Clients must purchase their fishing licenses. How to do it by yourself: Fishing gear is not available for rent in Juneau, so you’ll need to bring your own gear and car to get around. Alaska Fly Fishing Goods is by far the best source of information. Start with their extensive website for where to go, what flies to use, and weekly updates on hot fishing. Note that both fresh and saltwater are very cold in Juneau, so dress appropriately (full waders are best). If you want to rent some camping equipment as well, contact Above & Beyond Alaska. 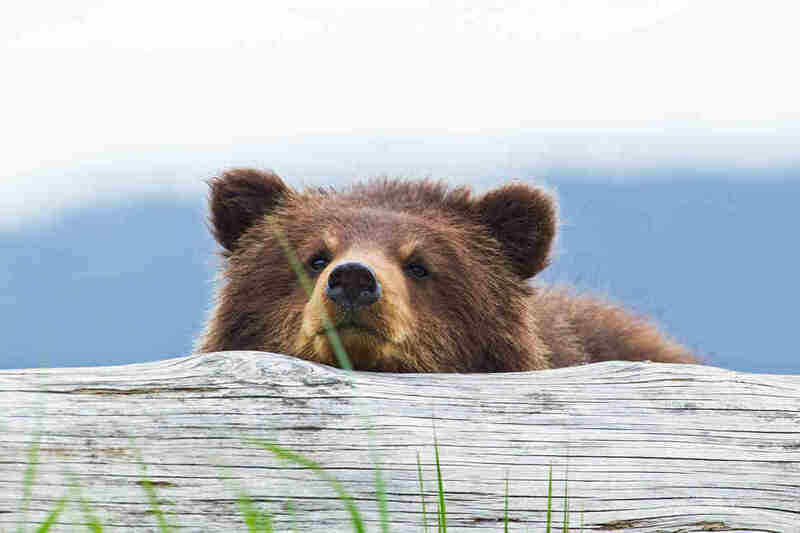 On this excursion you’ll take a scenic, 30-minute flight on a seaplane to Admiralty Island, Fortress of the Bear, which has the highest density of brown bears in the world. Guided by professional naturalists with years of experience in the Alaskan wilderness, this all-day trip has a maximum capacity of five guests. It includes an hour of education and gear outfitting, two 25-minute seaplane flights, and about five hours spent in brown bear territory -- more time than any other guiding company. 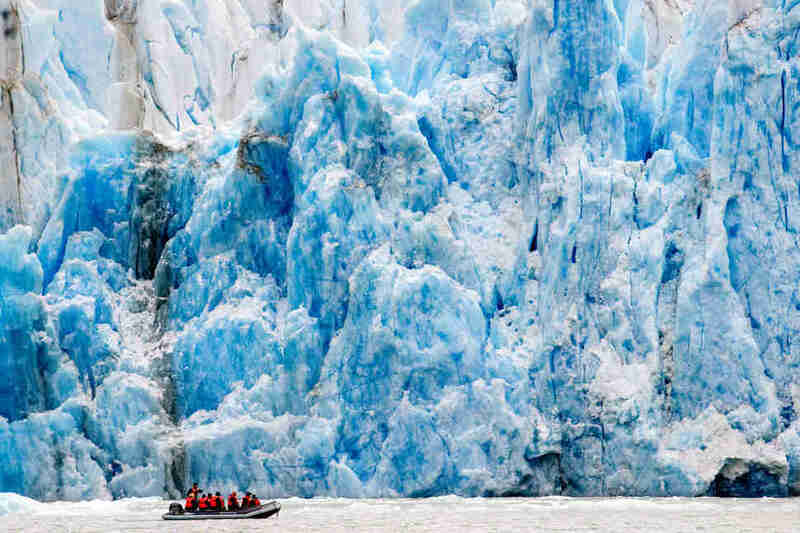 Travel on a small excursion boat out to the tidewater glaciers of Tracy Arm Wilderness Area, a soaring vertical landscape every local dreams of visiting at least once in their life. Tours spend four to six hours in the fjords, beneath towering cliffs with waterfalls around every corner. The North & South Sawyer Glaciers calve ice into the green water. There are also excellent opportunities to see seals and their pups on ice chunks, and humpback whales as they travel to and from Juneau. I attended a memorable wedding in Tracy Arm on the stern of an excursion vessel with the blue expanse of Sawyer Glacier framing the happy couple. Memorable not just for extreme beauty, but also for the frigid icy wind. Make sure you bring extra-warm clothing, gloves, and hats. Two excursion providers with very different vessels and amenities offer this trip. I’ve had wonderful cruises with both. Both offer a picnic style lunches and hot beverages. For more recommendations for whale watching in Juneau, check out our full guide. These comfortable, whale-watching style boats have an upper observation deck. And they’re fast, which means a shorter travel time from Juneau -- but less time spent in Tracy Arm, too. Still, Allen Marine delivers a high level of service and even provides guests with binoculars. The Adventure Bound Alaska cruise is a more intimate, get-to-know-your-captain experience. Both your travel time and time spent in Tracy Arm are longer than the option above, but their traditional, single-level boats are less comfy and only offer outside viewing from the bow and stern. Still, it’s a better price and more personal experience. Bring your own binoculars! After you help paddle a canoe across Mendenhall Lake, you’ll put on crampons (sandals with spikes that let you grip the ice) and hike up onto Mendenhall Glacier itself. To walk on the glacier and touch ancient ice feels like a time warp into the deep past on a truly unimaginable, otherwordly landscape. 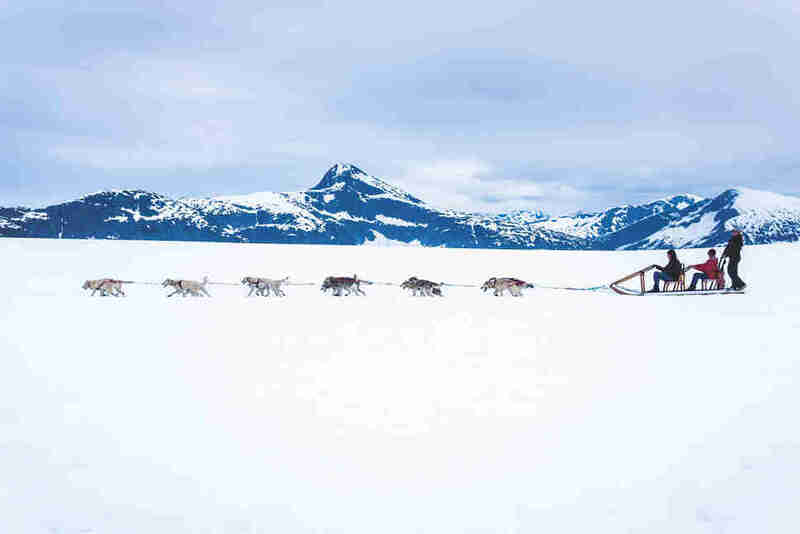 Alternative: Above & Beyond Alaska offers additional more strenuous treks that feature ice travel and ice climbing. For all ages/abilities, ABAK’s overnight camping excursion is a once in a lifetime opportunity where you’ll search for ice caves. Must be booked directly with Above & Beyond Alaska (no cruise line bookings). This is a smart combo adventure. The guides use a six-passenger boat to transfer kayakers from shore to the Channel Islands State Marine Park -- a great opportunity to watch for whales, sea lions, and other wildlife. Paddling kayaks provides the one-with-the-sea experience. 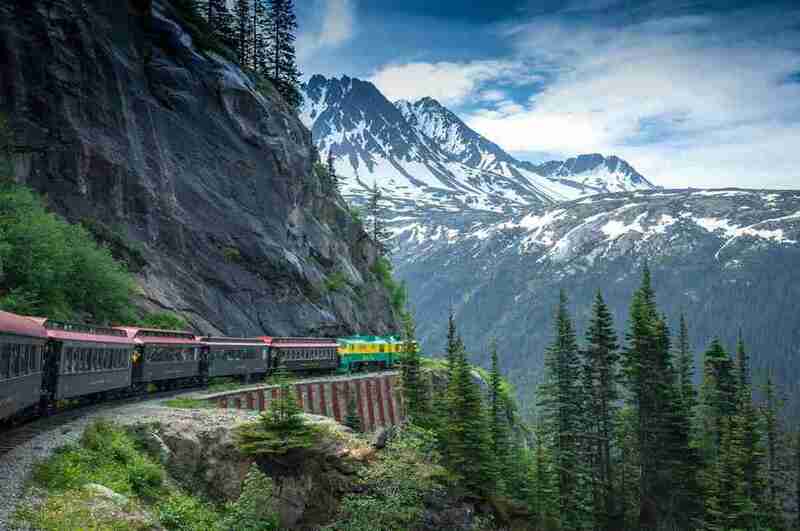 Located in Skagway, Alaska, this is one of the most scenic train rides in the United States. The narrow railway follows the same route that the Klondike stampeders traversed in 1898 during the Klondike Gold Rush, past glaciers, mountain lakes, and waterfalls. It truly is one of the most dramatic, beautiful trips in Southeast Alaska. On this trip you’ll ride the train one way, have a layover at the historic Bennett Station, and return via motorcoach tour along the scenic Klondike Highway. Your passport is required! Getting to Skagway: Most cruise ships will stop in Skagway (about 100 miles north of Juneau). Independent travelers can take a small plane from Juneau, or the AMHS Ferry. Note that this is difficult to do as a day trip from Juneau, so you’ll want to get a hotel in Skagway; use a booking agent to help with all the logistics. 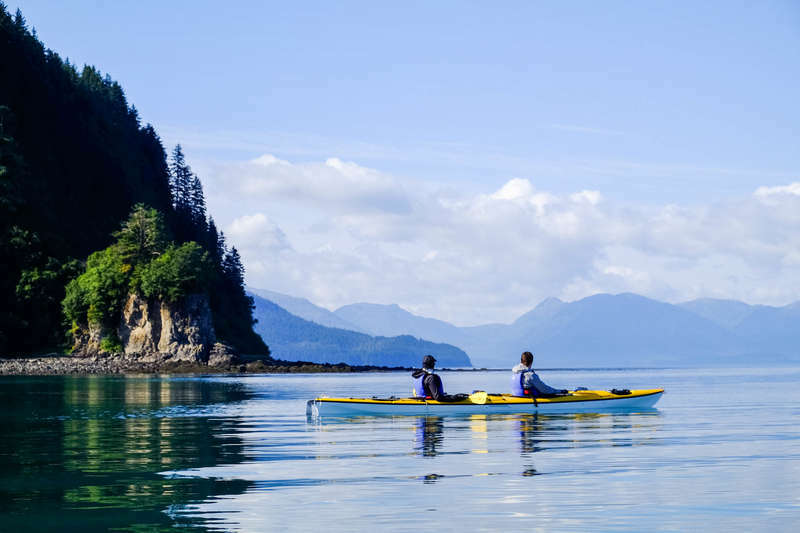 On this excursion you’ll set off by boat from Gustavus, Alaska, for three days of camping and kayaking along the rocky shores of Point Adolphus. This is one of the most beautiful and ecologically rich places in Southeast Alaska. It’s world-famous for watching 50-ton humpback whales as they gather and feed, in addition to orcas (killer whales), sea lions, seals, porpoises, sea otters, bald eagles, and sea birds. From your campsite you can look across the Icy Strait to the mouth of Glacier Bay and hear the calls of the whales at night. Getting to Gustavus: You can take a small Plane from Juneau or AMHS Ferry. Alternative: This trip can be expanded up to seven days over extended coastline. 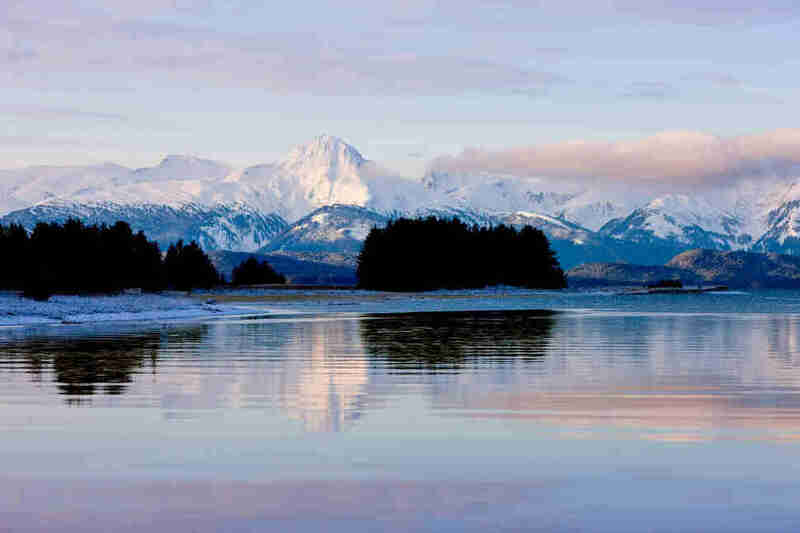 Bill Hanson is an Alaskan writer based in Juneau who lives, loves, and eats landscapes. He can be found rummaging through rainforests and salty water Archipelagos in search of wild foods, microhabitat coolness, and photos to nourish his @bhfootloose Instagram feed. He’s currently working on his fifth novel with high anticipation that this one will be published.